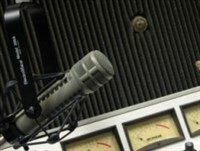 THE STATION WITH A VISION, POWER AND QUALITY LIVE DJS AND KNOWLEDGEABLE PRESENTERS. WE WILL SERVE THE COMMUNITY WITH DIGNITY. We are excited that you are visiting our web site. Internet radio is the new media experience for the 21th Century people. Diaspora Ghanaians have no access to have a voice in the main stream media houses. HIGHLIFE NEW YORK is here to provide culturally appropriate, community designed and supported programming as well as relevant and unique service for Ghanaians in the USA and around the globe. Our office is putting everything in place and will start test transmission soon. This is the time for you to see the REAL GHANAIAN IN YOU. AT HIGHLIFE NEW YORK- IT'S A TEAM AND EVERYBODY MATTERS. COMING YOUR WAY FROM NEW YORK.